Please share your feedback about the books or sheet music by filling out the form on the "Contact" page. I would love to hear your thoughts and opinions! They will help me create better musical material in the future. "Kat Souponetsky's Original Piano Solos books are filled with creative, refreshing, and engaging pieces. I have used Volumes 1 and 2 with many of my piano students over the past year, and they have loved playing them. Also, it doesn't hurt that the visual presentation of the books is so attractive and inviting. I highly recommend them." My students and I have enjoyed your books immensely. I, personally, love introducing/hearing new music and your compositions are lovely. 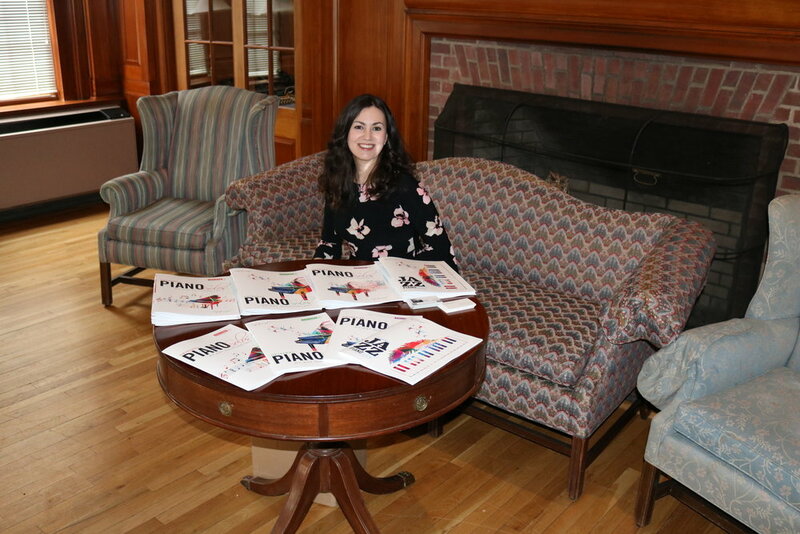 "I bought your books as holiday gifts for my two children (jr. high and high-school aged pianists) as well as to use and recommend in my studio (I work with intermediate and advanced pianists). My daughter (advanced level) has especially enjoyed reading through a number of the pieces and has used several as some of her “30-piece challenge” selections. The length of your pieces is just right for this kind of project and these are also great challenge pieces for students who are gradually transitioning from intermediate to advanced level repertoire. The creative titles and varying styles are wonderful: wish these pieces had been around when I first started teaching in 1988 and was always looking for creative new material! I love recommending fresh, appealing, unique pieces to my students that are extremely well-crafted: yours certainly fit the bill! I’ll be continuing to recommend your books and wish you all the best in your creative endeavors!" "I bought the books because I explored many of your pieces and loved the pacing and the pieces. I was sold on the music and the design and layout of everything. I thought they were great." "My students love your pieces from Volume 1 Piano Solos. Even though it is marketed toward elementary levels, I use this most often with my intermediate students for quick studies; they like them so much that my upper middle school and high school students often record them. I think they are mature enough sounding pieces, that these work best with middle school ages on up. And this population needs mature pieces that are easy to learn in a week, while they tackle longer more difficult pieces that they often study over several months. I always make sure my older advanced students are reading something new regularly…but they can’t be taxing nor childish. This volume of yours fits the bill perfectly, although you might have intended this volume for younger students. The book is a favorite and I’ll keep an eye out for more of your work on your you tube channel…which I just subscribed to." "My students enjoyed your compositions! They add refreshing and interesting variety to a student’s growing repertoire and developing skill levels. Many of the tunes express different moods and they also provide opportunities to learn different musical styles."